The pair accounts for more than 60 percent of the U.S. digital ad spend. 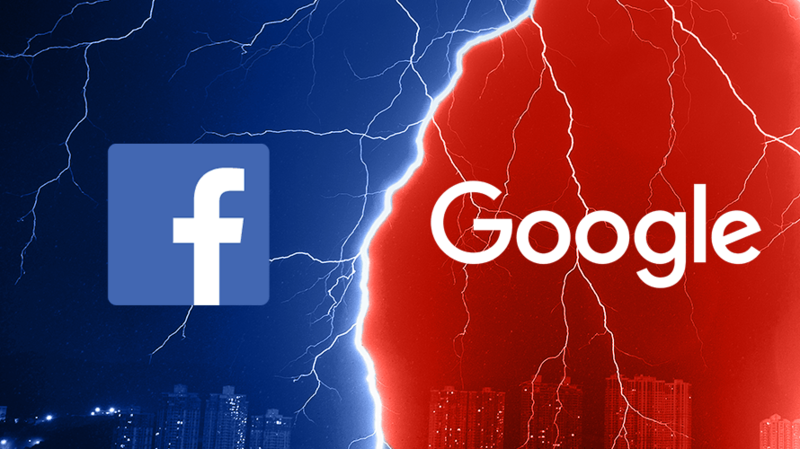 Presidential candidates have been proclaiming to break them up, and self-inflicted security crises abound, but still, Facebook and Google continue to rake in the lion’s share of digital ad spend, according to a new a eMarketer report released yesterday. Both Facebook and Google weathered a less-than-flattering news cycle to emerge victorious over digital ad spending market. The duopoly was previously predicted to lose a bit of its its edge on the American ad market, according to eMarketer data from last September. Google’s share was set to decline by about two points in 2018, while Facebook’s was set to rise by less than one; this shift that would leave the two scooping up a mere 57.7 percent of ad revenue total. Instead, Google’s share dropped by 1.4 points, and Facebook’s share grew by 2. Summing that up, the pair accounts for more than 60 percent of the U.S. digital ad spend. “The marketers who are actually buying media at these do continue to believe that it’s the best place to put those dollars, regardless of any pushback they might be getting in the press,” said eMarketer senior analyst Nicole Perrin. She added that, though the duopoly’s high revenue is here to stay, her team does predict that Facebook and Google’s share will decrease in 2019—and that they won’t be growing as quickly as the digital ad market overall. Meanwhile, other players continue to barrel forward in growth: As Adweek previously reported, Amazon continues to be the duopoly’s biggest competitor. The tech giant is slated to sweep up 8.8 percent of digital ad budgets this year, according to eMarketer’s data. Though it’s still a distant third, experts believe Amazon will creep up quickly. “Amazon has what Facebook and Google have: lots of data that you can use to target people at scale,” Perrin said. And the data that they have is, in some ways, more valuable. She added that while Google and Facebook are able to track what sites people browse and where they post, Amazon knows something much more valuable for marketers: what people buy, how often they buy it and how often they’re searching for what they want to buy.